I live in a state where sunshine is a rare commodity from about November through February. In fact, we've made national lists for how few hours of sunshine we see during our winters. But typically when we hit March I can pretend that spring is at least going to arrive, and the sunshine begins to reappear. It's something I crave after the long winter. This March, however, fought the sun for every day. Even as we flipped our calendars to April, spring struggled to arrive. And then last week happened. Spring Break. The time when flowers should be blooming, blue skies should be flying, and warm breezes should be blowing. But no. We had grey days, rain, slush, snow...and not a hint of sunshine anywhere. Just day after day after day of rain. People. I about had a come apart. You see, with the lack of sun we were already experiencing, the higher incidence of rain showers, and what appeared to be a never-ending winter, I was done! Oh, we'd had a nice day sprinkled in here and there, but they were only minor blips on what was now a calendar full of storms. My body was crying out for the sun. My emotional state was quickly deteriorating. My energy levels were kaput, and my brain fog was an ever-present issue. I needed sun. Badly. Ever day. And then it hit me. This was a very prominent picture of what happens to our spiritual state when we spend time away from God. We begin to wither. We become dry. And one quick dip in the word on the second Tuesday of the month isn't enough to sustain us. We need the Son. Badly. Every day. 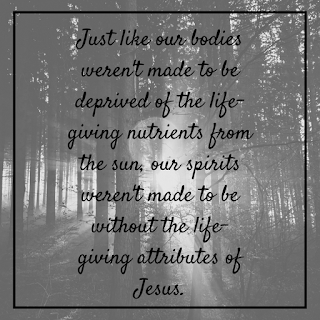 Oh friends, just as our bodies weren't made to be deprived of the life-giving nutrients from the sun, our spirits weren't made to be without the life-giving attributes of Jesus. 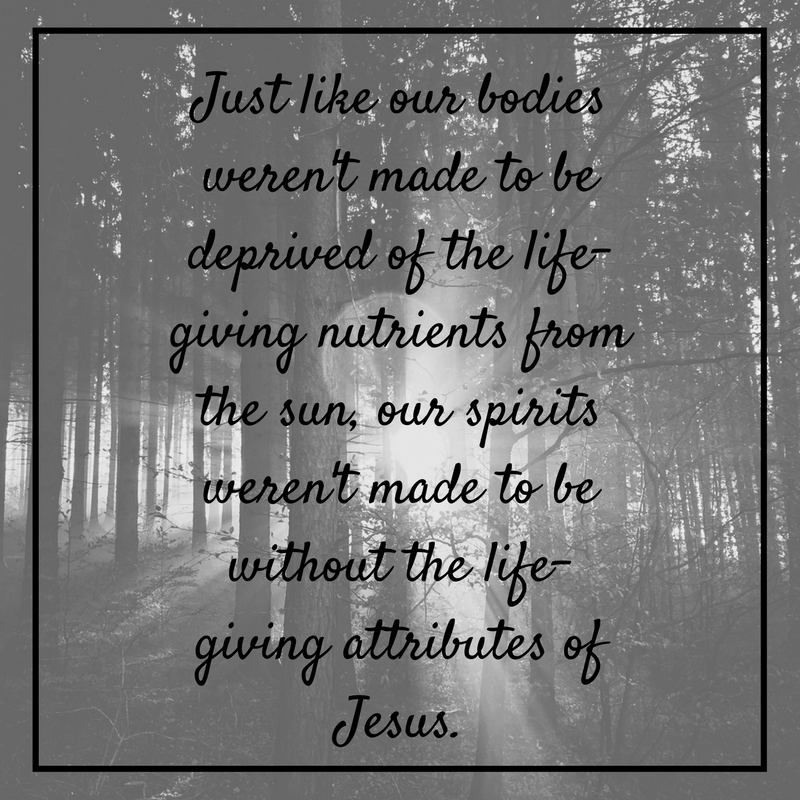 And though we cannot control the weather, we can control our exposure to Christ. He's as close as our breath. Our words. All we need to do is give voice to them. Pray. Worship. Even better, pick up his Word and dive into it. Yes, we need the Son. :-) Happy Easter!